This is a ground lease of 13 acres industrial land one half mile from I-81 exit 116. 13 acres vacant industrial land For Sale or ground lease. Half mile to interchange exit 116 on I-81. 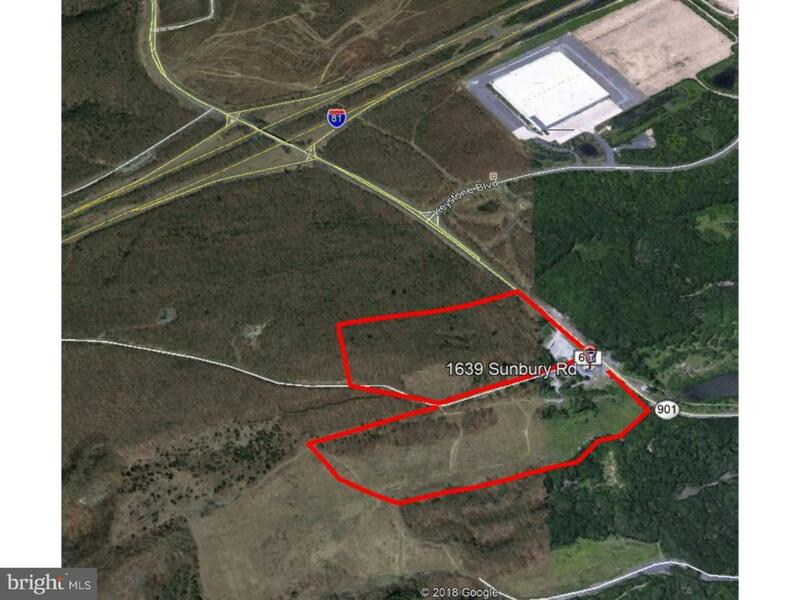 Two parcels 6.8 acres (11-02-0014) and 6.2 acres (11-02-0015) Both parcels front on Route 901 (Sunbury Rd). Suitable for distribution warehouse. Close to Allentown & Harrisburg. Public water & Sewer available in street. 6.8 acre parcel zoned I-1 & I-3. 6.2 acre parcel zoned C-1 and I-3. Parcels available for ground lease at $10,000/mo/parcel. Parcels may be leased or purchased separately. Foster Township Schuylkill County. Adjacent Sportsbar / restaurant also for sale.